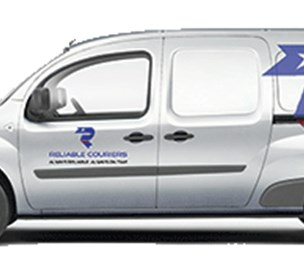 Reliable Couriers is a same day courier service company focusing on the greater Miami area. Our local delivery drivers can deliver your package in the fastest manner possible to it's destination. All of our drivers are bonded and equipped with GPS so your package will make it to its destination on time and intact. We also specialize in medical equipment deliveries, legal courier services, pharmacy delivery services, medicine delivery services, and hot shot deliveries. According to our records, this business is located at 201 S. Biscayne Blvd. in Miami (in Miami-Dade County), Florida 33131, the location GPS coordinates are: 25.7722844 (latitude), -80.1868709 (longitude). Reliable Couriers is categorized under Bicycle Delivery Services (SIC code 4215). Known organization office manager is Alex Jackson. Current estimates show that the unit has a sales volume of $1000000 and staff of approximately 20 people. You can contact the company by phone at (786) 477-4466; the following fax number is also provided: (786) 477-4466. Business website can be accessed at www.reliablecouriers.com. Open from 1:00 am until 12:00 am (Monday - Sunday).